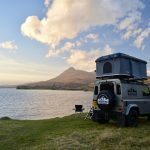 The perfect 4×4 vehicle for your NC500 adventure! 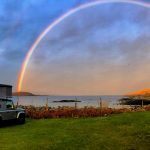 Are you looking for car hire for your NC500 trip? 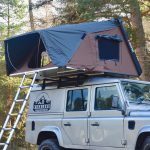 Why not hire a Land Rover Defender fitted with an incredible roof tent?  Take the hassle (and cost!) out of finding and booking separate car hire and accommodation – book with us and you will get everything you need for your trip. 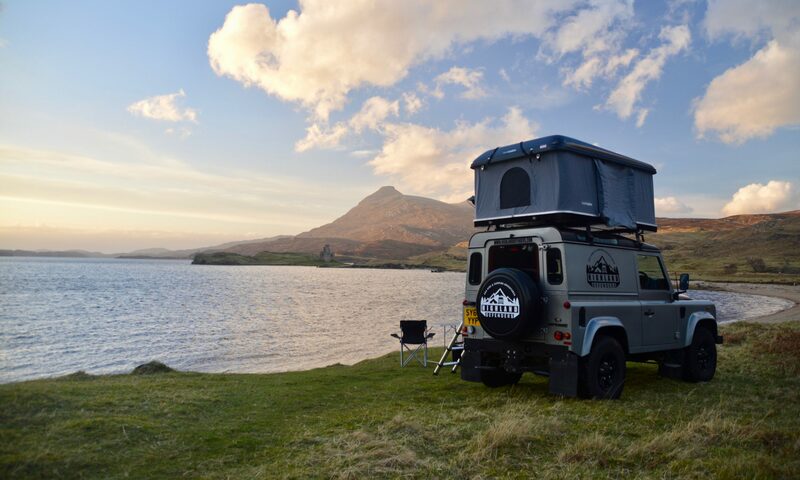 Our Defenders are fitted with industry leading hard shell roof tents from iKamper and Roof Cabin. 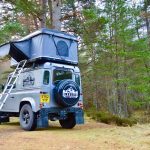 Each roof tent takes less than a couple of minutes to set up, has a built-in mattress, 4 windows for elevated views, telescopic ladder, storage and has the huge benefit of not sleeping on the ground! We also provide everything you need for your trip as part of our camping kits; sleeping kit, cooking kit plus lots more. All you need to bring is your shower bag – we will provide the rest! 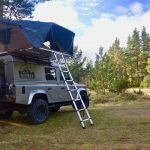 Find out more about our roof tent hires here. During the peak season, the majority of the hotels, BnB’s and even campsites are fully booked. 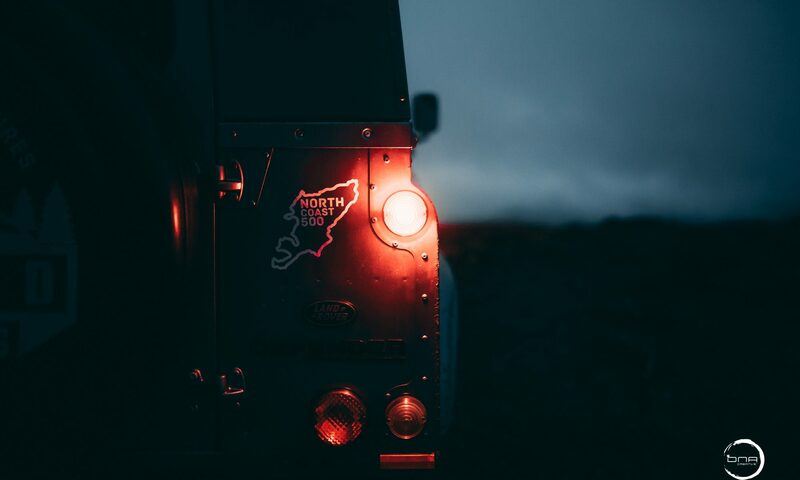 Carrying your own tent and equipment allows you to enjoy the magnificent route without the worry of when and where you can stop – simply park up your Defender and find a suitable pitch for your tent – In Scotland, you are allowed to camp wherever you like – just make sure you follow The Scottish Outdoor Access Code. What is the North Coast 500? The NC500 is Scotland’s answer to Route 66. The route stretches 500 miles across the Highlands and showcases some of Scotland’s most beautiful coastal scenery. The route follows the main roads around the north coast of Scotland taking in the white sandy beaches, magnificent mountains and quaint villages. Whether you’re going the distance or traveling a small stretch of this magical route, you are bound to discover endless adventure around every turn. 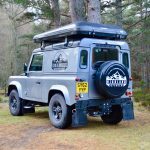 If you want help to plan your perfect trip around Scotland’s north coast or any trip around the Highlands & Islands, then please get in touch. We are always happy to assist.